Passengers to St. Kitts and Nevis and other Caribbean markets can now enjoy the luxury of seats which convert to six-foot fully-flat beds; a Club World menu which combines the finest local and international ingredients, with meals served on fine china; extensive in-flight entertainment, with personal flat screen; and noise-cancelling headphones and other first-class options. According to the carrier, this new luxury experience begins even before the first-class traveller boards the aircraft, with stress-free check-in open from 24 hours before the flight departs, including print, fax or e-mail boarding pass options to save time at the airport, real-time arrival and departure information and live travel news. “Feedback from customers helped us define our product and improve on it,” explained Marcia Erskine, PR consultant for BA. “We’re in a good space right now but we’re always seeking to improve.” Erskine, who is based in Jamaica, spoke to the Sunday Guardian about the new services BA is offering in the Caribbean. 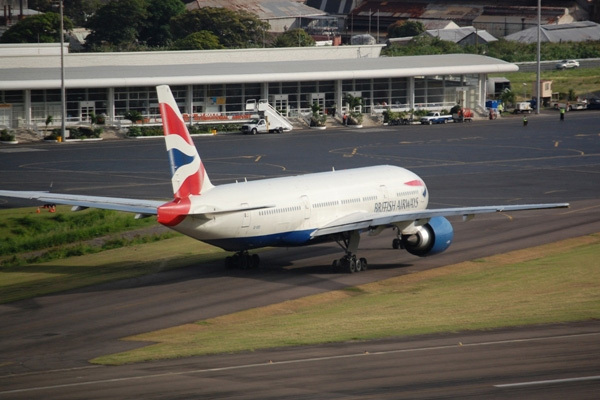 British Airways which operates return flights on Saturdays and Tuesdays from London Gatwick Airport to the Robert L. Bradshaw International Airport via Antigua. BA, which has been flying to the Caribbean since 1946, currently serves 11 gateways in the Caribbean to London from St. Kitts, Kingston, Nassau, Grand Cayman, Providenciales, Antigua, Punta Cana, Grenada, St. Lucia and T&T. Its operations are centred at its main hub at London Heathrow Airport, with a second major hub at London Gatwick Airport. The airline was formed in 1971 from a merger between two large London-based airlines, British Overseas Airways Corporation (BOAC) and British European Airways Corporation (BEA) and two smaller regional airlines, Cambrian Airways and Northeast Airlines.